Who Cares? 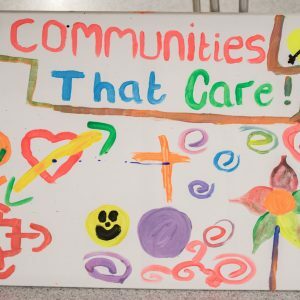 Scotland, which advocates for a better deal for people in care and care leavers, launched its 1,000 Voices campaign to try and push for a complete overhaul of the Scottish care system, to one based on love, because it believes that a loving environment is the most fundamental thing a child needs to succeed. There are currently 15,000 children in care in Scotland. Despite care leavers making up just 1.5 per cent of the population, they account for a third of all prison inmates. Only 4 per cent go to university, compared to 39 per cent of their peers. Almost half have mental health issues, and almost a fifth are homeless within five years of leaving care. All of this is despite the state spending almost £100,000 a year on the care of the average child. The charity began its campaign after finding that after politicians heard the voice of service users who had been through the system, they had been willing to commit to immediate and radical change in the laws. The charity had already won changes in university funding, increases in the age of leaving care, and abolition of council tax for young care leavers, but it believed that these were only stepping stones on the road to a complete reorganisation of the whole system. The charity’s user-based approach convinced leaders in all major political parties in Scotland, including First Minister Nicola Sturgeon, and last year, Sturgeon announced at her party’s conference that she would be launching a root and branch review of care in the country, the first time the entire care system has ever been redesigned, and the largest review of care in 150 years, in any country, across the world.